Of course, just because adding a child to your family means changing things, that isn’t to say that you can’t still have a beautiful home that you love. Of all the rooms in the house that tend to change a lot after having kids, it’s the bathroom. 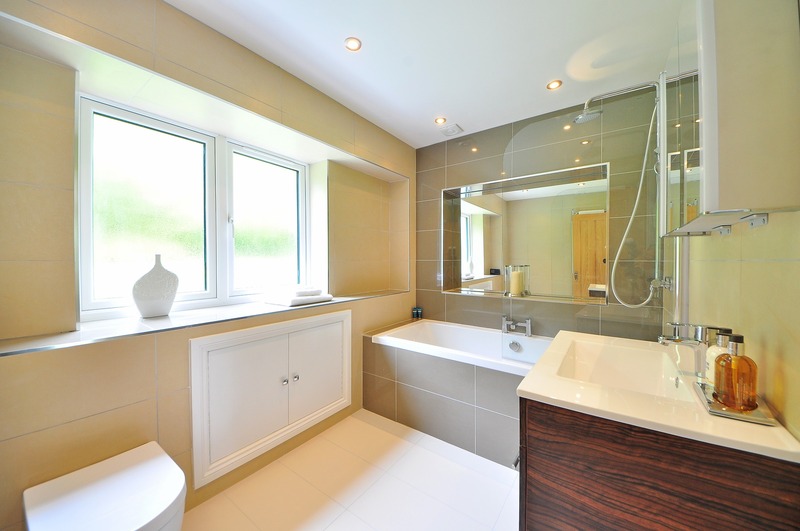 The fact is that it is possible to have a family bathroom that is also a calming and tranquil space, it’s just a case of thinking carefully about the design and decor, that’s all. The key to success when it comes to designing a beautifully calming and tranquil bathroom is to get the color scheme right. There are some colors that create a calming and relaxing vibe, and others that cause the brain to become more active, making it more difficult for you to relax. The best colors to use to create a calming bathroom are blues and greens, as these tones have been proven to create a calming atmosphere, which is why so many spas are decorated in them. To ensure that your bathroom is as calming as possible, consider incorporating LED strip lights in either blue or green to the space. This will not only add extra light but will also give the room a calming glow. If there is one thing that ruins the calming atmosphere or a room, it’s mess. That’s why storage space is so important when you have little ones, as often family bathrooms are packed full of bath time toys. Minimalism is the key to creating a relaxing and tranquil bathroom, so having plenty of storage space to store bath toys, the kid’s soaps and bath creams, and towels and other bath time essentials in, is crucial. Ideally, you want this to be built-in storage, but if this isn’t possible, then there are other storage options you can consider. Believe it or not, adding a few houseplants to your bathroom can help to make the space look and feel more relaxing. Studies have shown that houseplants help to calm our minds and ease stress, so having them in your bathroom is a must. Just make sure that any potted plants are up on shelves away from where little hands can grab them. The best plants for bathrooms are orchids, ivy, and cacti. Has The Time Come To Upsize Your Home?